Former Macedonian Prime Minister Ljupco Georgievski says in an interview that peace agreements in Bosnia, Kosovo and Macedonia are volatile. He proposes a radical change: the creation of homogenous national states in Balkans. Georgievski stated that in 2001 offered to Albanians the territories in and around Tetovo, Gostivar and Dibar to join Kosovo or Albania. Lupço Georgievski, 51, established the VMRO-DPMNE party and as a Macedonian prime minister between 1998 and 2002 has undertaken serius reforms. After his party lost the elections in 2002, he resigned in 2003 as party chief. During the time he was in charge of early 2001 in Macedonia broke out the biggest riots between the Albanian and Slav-Macedonian populations. A bloody civil war was avoided thanks to the interference of the international community. Georgievski is considered to be an excellent connoisseur of the current political situation - but with his theses presented with excessive courage over the Balkans' future he never arouse the enthusiasm of the international community, writes "Huffngton Post. In an interview for this portal, published in German, Georgievski talked about the political crisis in Macedonia. 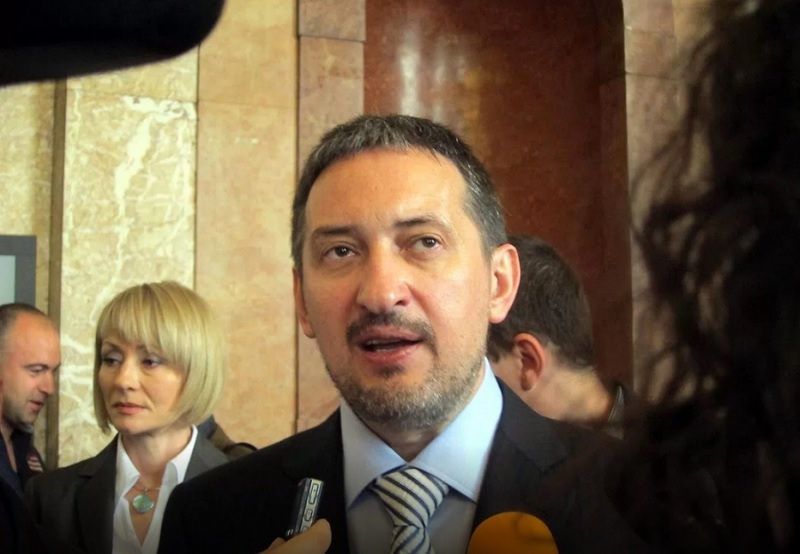 He said multi-annual premier Nikola Gruevski, President Gjorge Ivanov and many VMRO officials have blocked the political life in the country because of fear of prosecution due to the tide of interception and doubts about other abuses. Georgievski said it is about 500 thousand pages of interception protocols. For the most part, Georgievski spoke about the Albanian issue. He indicated that in 2001 he offered to the Albanians the territories in and around Tetovo, Gostivar and Dibra to join Kosovo or Albania. But, according to him, no formal talks took place on this topic - "perhaps because the opposition of many Macedonian politicians was too great and I was seen as a traitor." As many Macedonian politicians and Georgievski expressed against the Albanian language as an official language throughout Macedonia. He said this request is no longer on the negotiating table. Georgievski said in 2001 that he needed to have the courage to think about joining the Albanians in the region. In an interview with "Hufington Post" he said: "We need to be realistic. The demographic development of the Albanian population is growing very fast. Today we have about 25 to 30 percent of Albanians in Macedonia. After 10 or 20 years Macedonia will be a Muslim country. Of the 180,000 children who are attending classes in Macedonia, 60,000 learn in Albanian schools. Even our neighbors like Albania and Kosovo are almost 100 percent Albanian. Of course, people belonging to the same people have the desire to live in a common state." Georgievski said the three peace agreements signed in recent decades in the Balkans are not functioning, or even have created dysfunctional states. Dayton Peace of 1995 ended the war in Bosnia, but Bosnia's unitary state exists only on paper. In 1999 in Kumanovo is signed the peace agreement for Kosovo after the bombing of Yugoslavia, but after 10 or 20 years Albanians can be majority in Macedonia"
Kosovo's problem has not yet been resolved. In 2001 we ended the riots in Macedonia with the Ohrid agreement. "Should blood be shed to see the facts with the eye?" Georgievski asked. The former Macedonian Prime Minister has a fairly simple idea of how to solve the conflict in the Balkans. "Serbia gets Republika Srpska in Bosnia and the north of Kosovo, Albania joins the remainder of Kosovo, possibly with a part of western Macedonia and eventually gets the Presevo Valley in southern Serbia, to Croatia is also given a part of Bosnia" , Said Geogrievski, who proposed for Bosnia to receive a territorial or financial compensation, without explaining how this model would have to be.